With summer coming, we all have the dreaded yard work to get completed before we even think about entertaining. We, unfortunately, can’t help you get that part done. What we can do is give you some great tips on how to liven up your yard for the kick off of summer. 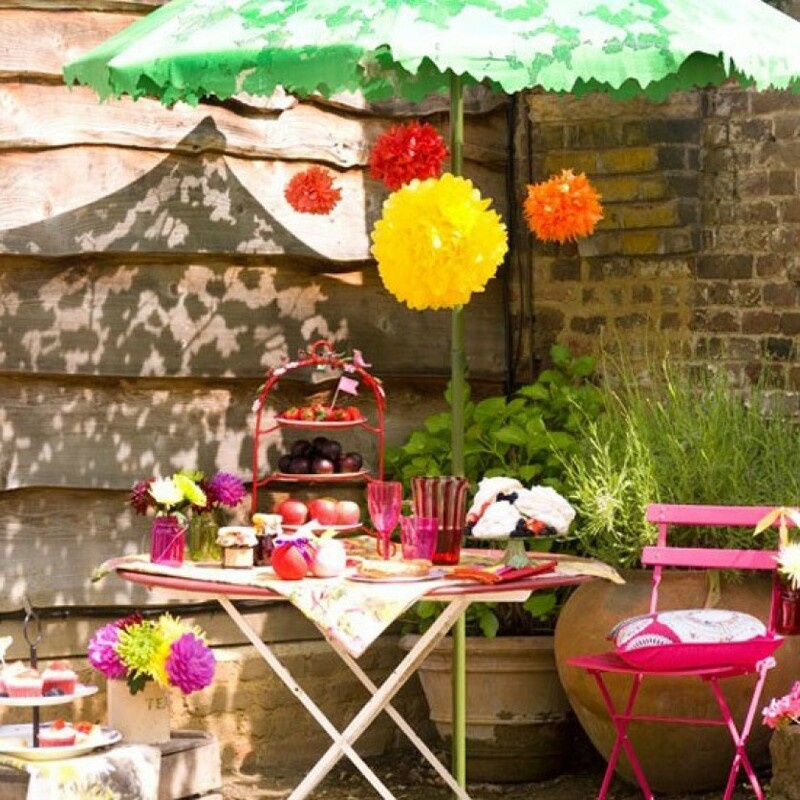 So here is our Outdoor Lifestyles list of some great ways to Add Colour to your Cookout. One thing we always recommend to our customers is to never add too much colour in your stonework. Trust us when we say you’ll tire of it quickly and then where will you be. It would be the equivalent of painting your bedroom bright red. So how do we add colour without doing any damage to the overall palette of the space? It’s the simple little additions that make a big difference when it comes to landscaping. Obviously, you want quality workmanship, but it’s the small details that will take your yard above and beyond. Consider the following few options to really spice up your yard this season. Furniture: In recent years, it has become less and less popular to fall back on the white plastic lawn furniture that came off the line when our parents were young. Outdoor furniture has become so much more decorative and impressive in recent years that it’s hard not to take notice. It certainly makes it much more desirable to put money into one’s yard. Throw Pillows: This is an area of your yard where it’s not necessary to play it safe. It is a relatively small cost in the scheme of things but adding throw pillows or buying new ones can change the whole colour scheme of your property. Accessories: Though we’re never ones to advocate for clutter in your yard, small accessories can make a big difference when it comes to adding a little something extra to complete a space. It’s finishing touches like these that can take a space to the next level. And if you choose to make any changes to your colour palette in the future, it’s much easier to change accessories rather than your hardscaping. Whatever method you want to use the addition of colour is imperative to an outdoor living space. It can really help to personalize your space and make it feel like you’ve got a fresh start this summer.